As a Calgary-bound Greyhound bus in Saskatoon loaded up with only 16 passengers on Monday, one rider remarked that she wasn’t surprised that the interprovincial service would end in October. As a Calgary-bound Greyhound bus leaving Saskatoon loaded up with only 16 passengers Monday, one rider remarked that she wasn't surprised that the interprovincial service would end in October. 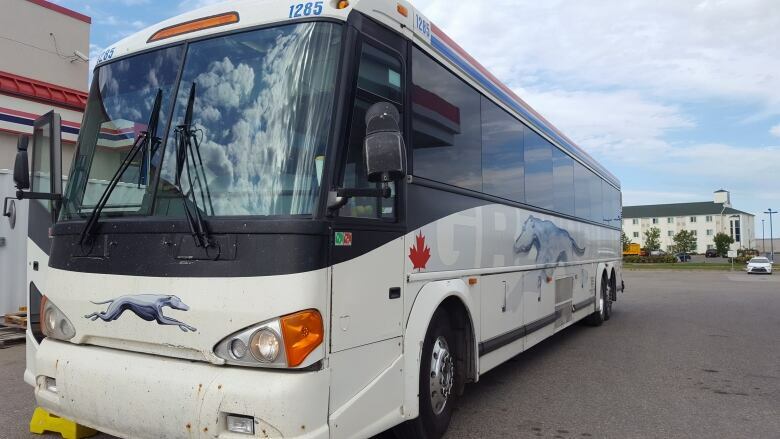 The bus was parked in the Husky Travel Centre rather than the former Saskatchewan Transportation Company (STC) depot that Greyhound used to operate out of before the Crown company shuttered its doors in May 2017. Calgary's Tina Tung doesn't own a car and was visiting her son in Saskatoon when she received an email earlier in the day from Greyhound informing her of the upcoming change. Her reaction? "After STC stopped running I kind of expected Greyhound to be next. It's unfortunate because this is how I get around," Tung said. Back in November, a Greyhound spokesman sent an e-mail to CBC saying that when STC's routes ended, it meant Greyhound could no longer make connections in rural locations in Saskatchewan. "We have seen a decrease in ridership along the Trans Canada and Yellowhead highways since STC ceased service. We've experienced about a 20 per cent decrease along the Trans Canada Highway and 12 per cent decrease along the Yellowhead highway." Stop the Cuts, a group that popped up in early 2017 to combat provincial budget cuts, has been critical of the decision to shut down the publicly-funded STC right from the start. The end of Greyhound in Saskatchewan is a time to take the pulse of where bus service stands in the province, said Stop the Cuts member Chelsea Flook. "Some lines came up and some lines went back down and the service is patchy and intermittent at best," she said. Charlotte Beler was hopping on the Greyhound bus in Saskatoon on her way to North Battleford. Her poor vision keeps her from getting behind the wheel of a car, so she relies on bus travel. If the Greyhound bus hadn't been in on Monday, she would have missed the "momentous occasion" of seeing a family member ordained as a priest. "I sure am sorry to hear that they're going to be discontinuing it," Beler said. She's not a frequent traveller on Greyhound, but said she knows how much people who can't or don't drive rely on services like this. Meanwhile, Flook said the government's logic behind the shutdown was faulty. "We would like them to see the consequences of their actions — that their whole idea that the market is going to step in, that's not true, so they now need to get serious about coming up with alternatives," she said. The alternatives include accessing funding from the federal government for inter-city transport, and starting up a scaled-down version of STC, Flook said. However, the provincial government said it's not going to be reviving STC. Premier Scott Moe's spokesman, Jim Billington, says bringing back STC doesn't make sense and would require over $80 million in subsidies over the next five years. Greyhound Canada says it's shutting down passenger bus and freight services in Alberta, Saskatchewan, Manitoba and virtually all routes in B.C. because they are unsustainable. 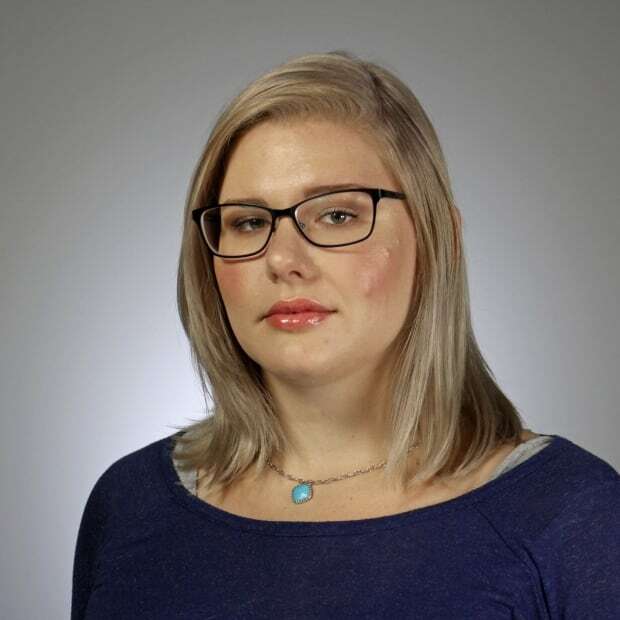 Chelsea Laskowski is a web writer with CBC Saskatoon.